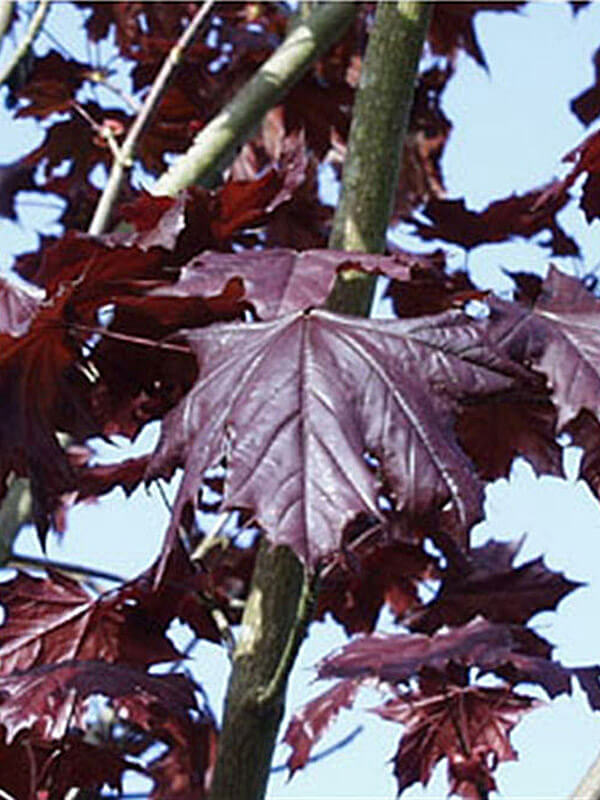 The Crimson King maple is a dense shade tree with wonderful purple foliage. 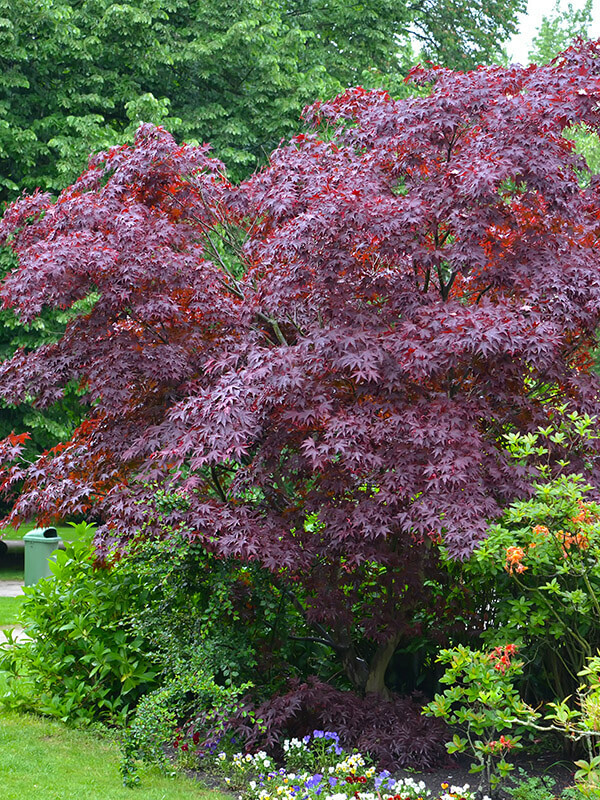 The leaves hold their color well, without fading, from spring through fall. Fall color is typically a deep maroon to reddish bronze.